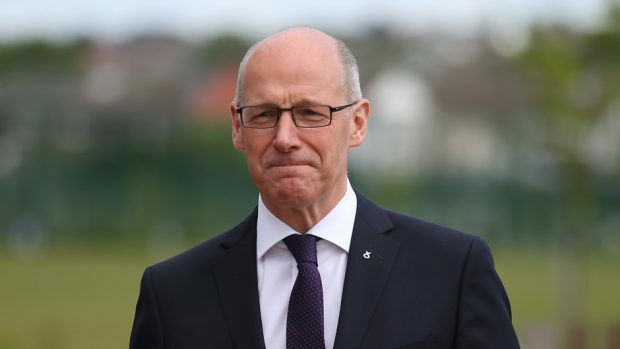 Education Secretary John Swinney has now announced an independent review into the controversial policy. Calls have been made for an “urgent” review of subject choices in Scottish schools amid claims the country’s educational reputation is being “squandered”. The call from the Conservative’s Shadow Education Secretary Liz Smith comes following research by educationalist Professor Jim Scott who raised concerns about the number of pupils passing exams – particularly in STEM subjects, like maths and sciences, and languages. He found that the number of S4 pupils studying and passing French has fallen by almost two thirds since Scotland’s new curriculum was introduced. Language entries for national four fell 12%, 4.5% for national five, 4% in higher and 11.7% in advanced higher. In the STEM subjects it was a similar picture, with a 13% fall at national four, 3% at national five and 2,7% at higher. However overall advanced higher bucked the trend with the number of pupils sitting exams increasing by 219 and a 2.3% rise in STEM subjects. Also the proportion of 2016/17 school leavers who found work or further education after school was 92.9% – the highest since 2009/10. Ms Smith said the education secretary needed to carry out a review of the situation. She said: “Scottish schools were once known for the broad based education they provided to pupils. “Under the SNP, that gold-standard reputation is being squandered. “The decline in subject choice is one of the biggest concerns being raised by parents across Scotland and it’s something we’ve been raising with the SNP for months. But Mr Swinney said: “Our focus is on a young person’s achievement at the end of their senior phase, not just within a single year, and the long term trend shows a greater proportion of young people staying on at school beyond S4. “Young people are gaining a broader range of qualifications and the proportion of them leaving school with qualifications has increased in recent years. “Since 2013 we have invested an additional £27.2 million to help local authorities implement the 1+2 language policy.